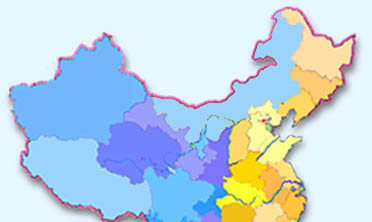 The western part of China is home to one-third of the country's administrative provinces and autonomous regions. It covers an area of 5.4 million square meters and has a combined population of over 280 million, making up 56 percent and 23 percent of the national total respectively. The region used to be described as "barren, remote, poor, large, valuable and beautiful." It lacks transportation facilities, and lags behind other parts of the country in terms of development and economy. The GNP per capita here accounts for just half of the average national level. But the west boasts vast stretches of land, abundant resources and beautiful scenery. The top Chinese leader Jiang Zeming put forward the guidelines for accelerating the development of the west on June 17, 1999,stressing that a coordinated development between the population, resources, environment, and economy and society should be achieved by steps through inputs of domestic and overseas capital as well as technical personnel. On March 5, 2000, Premier Zhu Rongji pointed out in his government work report that to implement the strategy of developing the west is of great significance to expanding domestic demand, promoting sustained growth of the national economy and coordinated economic development between various regions, and finally to the achievement of a common prosperity.